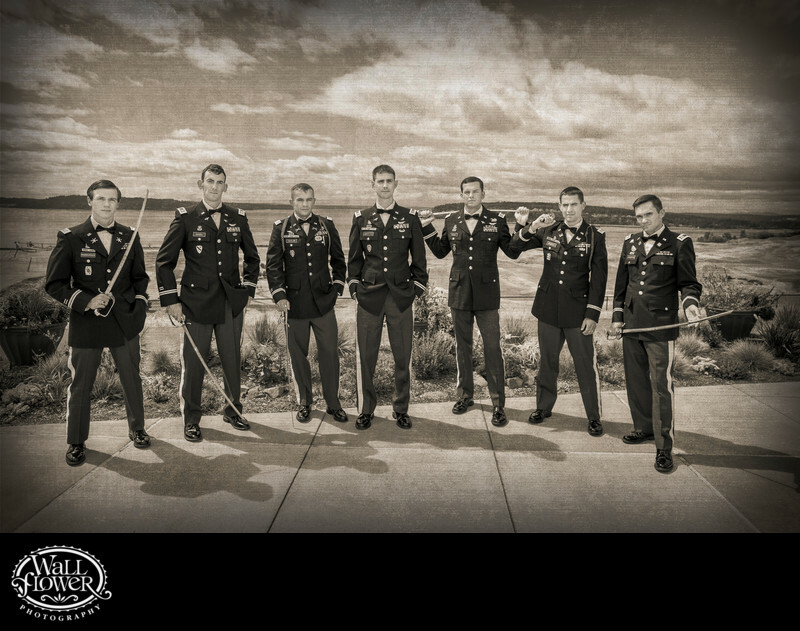 I love working with Army brides and grooms for many reasons, and obviously, one of those reasons is that sometimes they bring their swords! For this photo, we started with a sort of casual old-time pose like sword-bearing officers have struck for centuries now. Then, I broke from my usual avoidance of really heavy, noticeable Photoshop effects to give the photo a sort of gritty, sepia-toned look to give the image something of a faux historical look. The setting is the world-famous Chambers Bay Golf Course in University Place, Washington, where the wedding took place a bit later.